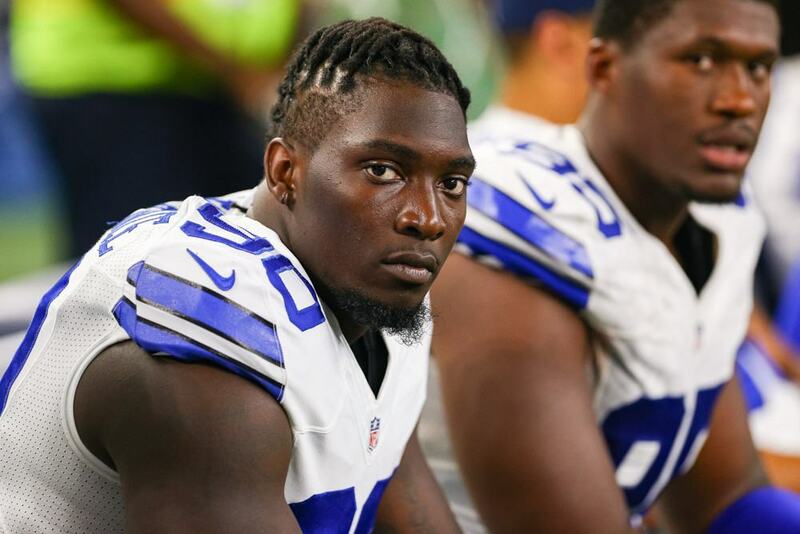 DeMarcus Lawrence will definitely be a Cowboy in 2018, but now the future beyond that remains in question. The Dallas Cowboys and their star defensive end did not agree to a long-term contract by today's deadline for franchise-tagged players. According to NFL rules, teams had until 4:00 pm EST today to reach contract extensions with free agents who'd been assigned the franchise tag earlier this offseason. Players who did not get new deals will have to play the 2018 season on their one-year franchise tenders. This does not mean Lawrence will be a free agent in 2019. The two parties can still discuss the contract in the months to come, but the deal cannot be made until after the end of the regular season. Dallas also has the option of giving DeMarcus a second franchise tag next year. However, that would come at a considerably higher price for a second-straight season. This year, Lawrence will still make plenty with one of the highest cap hits of any DE in the league. He earned the franchise tag last with 14.5 sacks in a breakout season. Today's news may not really be a big deal in the long run. As long as Tank wants to stay in Dallas after this, the two sides now have over five months to keep talking and will hopefully agree on a new deal for 2019 and beyond. There is risk on both sides, of course. Lawrence's leverage could be less if his productions drops or he gets injured. On the other hand, his position could be even stronger with a second-straight year of strong play. Now everyone, from the team to player to fans, is in wait-and-see mode until the end of the season.